Leominster: Stanley M. Kazogles 80 of Leominster, MA passed away peacefully Saturday evening in Fitchburg Health Care with his family at his side. He was born October 1, 1938 in Fitchburg, MA son of the late Michael M. and Fotene ( Arvanites) Kazogles. He was raised in Fitchburg by his step-mother Theone (Mandelos) Kazogles, and lived most of his life in Fitchburg, MA before moving to Leominster, MA twenty years ago. 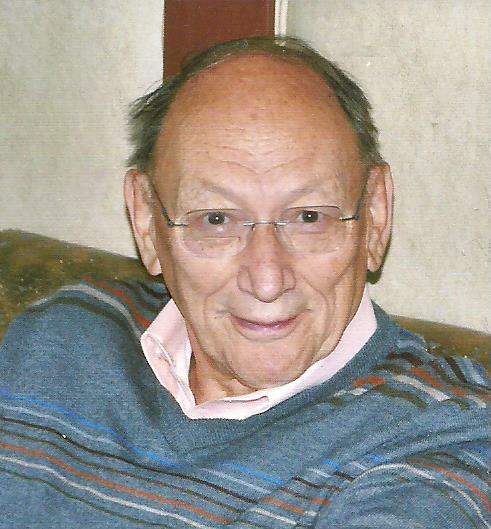 He attended and graduated from Fitchburg High School Class of 1956. He then went on to attend Fitchburg State College and received his Bachelor’s Degree in Education. He also attended Boston University. Stan was a 4th and 5th grade Teacher at J.R. Briggs Elementary School in Ashburnham , MA for thirty-six years before his retirement in 1999. He was a life member of the YMCA in Fitchburg where he enjoyed swimming and running. Stan will be remembered as a very kind and generous loving man to his family and to all who knew him. He attended Holy Trinity Greek Orthodox Church in Fitchburg. He is survived by the love of his life, his wife of 55 years, Joanna (Baimas) Kazogles, his children, Michael S. Kazogles of Palm Harbor, Florida and daughter Koralia Franklin of Harvard, MA, his sister Maria Dakos of Peabody,MA, three grandchildren, Austin , Elena and Julianna along with several nieces and nephews. His funeral will be held on Saturday, November 17,2018 with a service in Holy Trinity Orthodox Church , 1319 Main St. Fitchburg, @ 11a.m. . Interment will follow in Forest Hill Cemetery. Calling hours will be held at Holy Trinity Church Saturday morning from 9a.m. until 10:45 a.m. All friends and relatives are welcome to attend. In lieu of flowers donations in his memory may be made to : Holy Trinity Church Restoration Fund, 1319 Main St. Fitchburg, MA 01420. The Lavery Chartrand Alario Funeral Home 99 Summer St. Fitchburg, MA is directing. Michael S. Alario Director – Owner.